DEALS: Black Friday deals on HTC Vive and Oculus Rift! 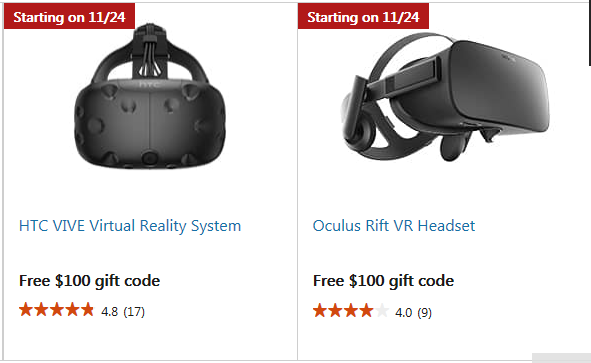 This Black Friday, you can get a $100 gift code with an HTC Vive (reviewed here) or Oculus Rift (reviewed here)! The offer is available from Microsoft Store and will begin on November 24. Here’s the link. Note: I believe this means a $100 store credit as opposed to a rebate or outright discount.